Celebrating its 25th anniversary, the MPI has made a name for itself as a hub for assisting advanced-material businesses in their growth efforts. The industrial outreach service for the University of Southern Mississippi originated in the Department of Polymer Science, and its success can be attributed to “standing on the shoulders” of the university’s institutional knowledge of material science while honing services that focus on industry and commercialization needs. 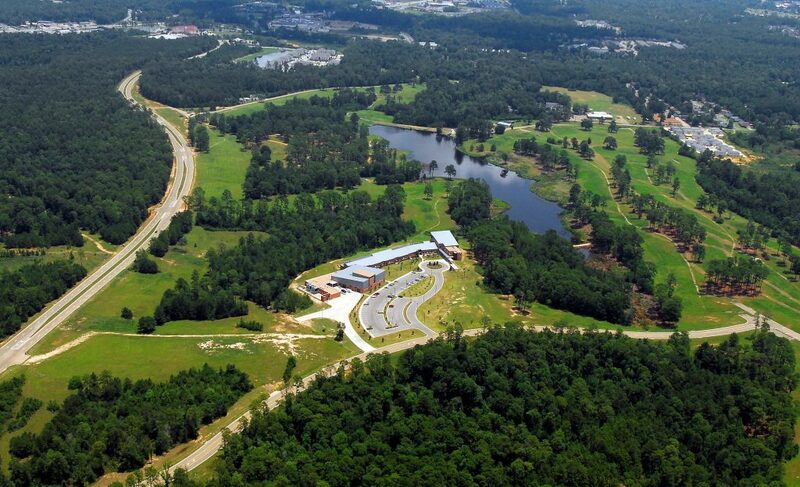 MPI now operates within the Accelerator, a facility located at USM’s Innovation and Commercialization Park five miles off the main Hattiesburg campus. Clients can lease space for their STEM-based businesses while taking advantage of USM’s resources. In the beginning, work came from needs in the paint and coatings industry; however, MPI now works in many polymer market segments including personal protection, medical, forensics, aerospace, automotive, electronics, and consumer products, just to name a few. The last couple of years have seen an expansion and diversification in customer needs. Testing and workforce training needs are continually growing, and manufacturing troubleshooting work often yields multimillion-dollar benefits. However, it’s the demand for product development that is really taking off, both in large companies and area startups. MPI has been growing to address those needs. There continues to be an evolution in advanced materials, and while USM is widely known for excellence in and contributions to the coatings and aerospace composite industry, there are other areas of material expertise and capabilities that are also building momentum locally. We were able to get three professors’ input on polymer research, trends, and potential for local industry participation. Dr. Derek Patton, associate professor at the School of Polymer Science and Engineering, described many activities at the school that are currently underway. First, the university has reorganized itself in such a way as to gain more collaboration between the different groups, which means there will be more interdisciplinary bodies of work. 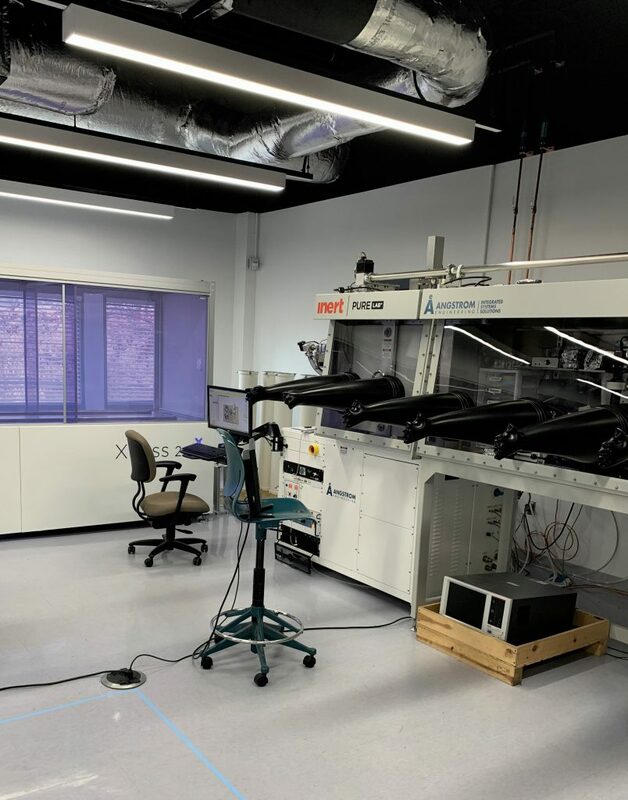 Second, they have been adding state-of-the-art instrumentation and equipment for small-angle X-ray scattering (SAXS) or wide-angle X-ray scattering (WAXS) as well as chemical vapor deposition (CVD). The most recent is the X-ray photoelectron spectrometer (XPS) – an instrument that will enable surface elemental analysis at nanometer depths with minimal compositional disturbance. This new equipment has some of the most advanced capabilities of their kind in Mississippi. There’s also the big news that the school has recently been approved to establish the Center for Optoelectronic Materials and Devices, as well as adding two new professors. One professor will specialize in polymer physics and physical chemistry, while the other specializes in biomaterials. Dr. Derek Patton is an expert in bio-inspired polymers, and this is an area he expects to see grow based on interest and demand for anti-fouling coatings, new antimicrobial materials, and new biodegradable materials that degrade efficiently into eco-friendly by-products. A bio-inspired polymer is one that is developed when a researcher looks to nature to find examples of the function they are trying to create, and then molecularly designs materials to mimic those types of properties. For example, the surface of a lotus leaf or a rose petal exhibits a hierarchical roughness that results in excellent anti-wetting properties that are critical for the design of coatings that prevent unwanted organism growth or membranes for liquid-liquid separations. Dr. Patton’s group creates polymer coatings that have similar types of hierarchical roughness ranging from nanometers to microns that are anti-wetting, just as in nature. One goal is to create oil-water separation membranes using scalable processes such as spray applications and UV curing to apply these coatings to common textiles. This approach provides a quick and cost-effective means of separating oil from water. They’ve also worked with companies and national park agencies to create anti-fouling coatings to protect and restore historical gravestones. A second example of using nature as a source for polymer design is an NSF-funded project to synthesize degradable materials capable of tunable and sustained release of natural bioactive agents. Dr. Patton is also exploring similar design concepts, using essential oil constituents as building blocks to create polymers that, once discarded, rapidly degrade into innocuous byproducts under common landfill conditions. Dr. Xiaodan Gu, assistant professor in the Polymer Science and Engineering Department, leads a group of researchers who study an existing frontier in polymer electronics. When considering polymers and plastics, there is a new trend where polymers are becoming more prevalent in high-end applications electronics. Some technologies have already been commercialized. For example, the latest-generation smartphones and TVs are made with an organic light-emitting diode (OLED) technology. The key enablers of those technologies are polymers that conduct electricity. It may be surprising to some since plastic is usually an insulator, but it can be designed to conduct electricity. Dr. Gu believes the future of polymer science will increasingly involve applications requiring high-value components with new functionality not achievable with the traditional silicon transistors that are in plastic solar cells, wearable and even implantable bioelectronics. In the short term and more related to Mississippi manufacturing, he sees printed electronics as a perfect option. Printed electronics have already been commercialized in OLED televisions. In the battle of OLED vs LED televisions, OLED TVs have a considerably better picture quality and contrast. With some modifications to existing manufacturing technologies, printed electronics could easily be produced in Mississippi. According to Dr. Jason Azoulay, assistant professor in the Polymer Science and Engineering Department and recipient of the 2017 Nokia-Bell Labs Prize, there are a number of exciting projects going on at the university. One of the research projects underway includes next generation-infrared optoelectronic technologies based on organic semiconductors. Optoelectronics is the technology of electronic devices that interact with light or other “invisible” forms of radiation. The goal is to make sophisticated materials easier to manufacture, which will overcome a major technological need for next-generation devices. In fact, Dr. Azoulay has demonstrated through his research that hundreds of innovative materials can be produced affordably and in very short periods of time, enabling high through-put screening and acceleration of the R&D phase. 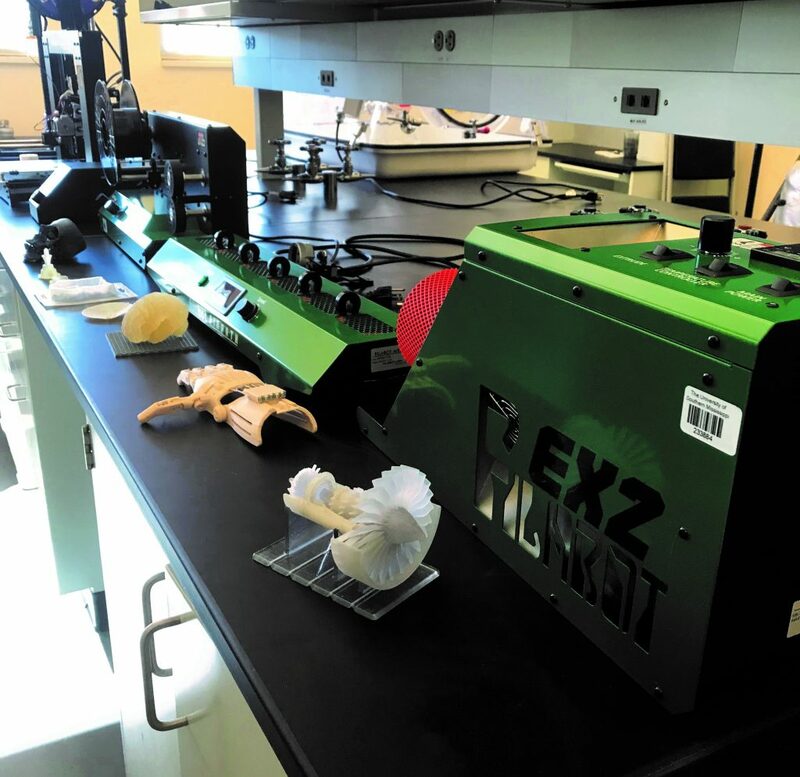 In conjunction with this area of research, the school is now home of the Center for Optoelectronic Materials and Devices, which will advance progress with a premier facility that allows faculty and students to operate, research, and compete at a national level. The center will initiate and promote collaborative research to enable advancements in the design, synthesis, and control of complex materials, systems, and associated technologies. The collaborative research across Mississippi extends across many different fields such as polymer science, chemistry, biological sciences, and marine sciences and is relevant to energy, biomedical, and environmental science products. From an industrial perspective, making electronic devices has been historically expensive, but now one can get started making highly complex molecules that do sophisticated things with the addition of a few new instruments and equipment that make them commercially viable and available at a fraction of the cost. The Polymer Evolution is here, and the University of Southern Mississippi continues to be at the forefront of this expanding territory. Mississippians do not have to look far to get expertise, a glimpse of what the future can hold in the area of polymer science and engineering, or to find commercialization support to grow their product portfolio and manufacturing capabilities.